This is the central question that millions of managers worldwide are pondering daily - especially given that only about 30% of managers vying for promotion actually realize their dream. 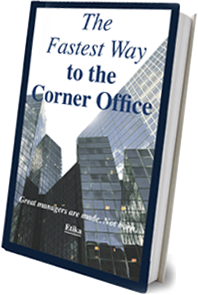 In this post, I’ll explain provide career advancement solutions by showing how to deal with a boss who thinks that you’re not promotion material. First of all, I’ll dispel some myths that might be going through your head. 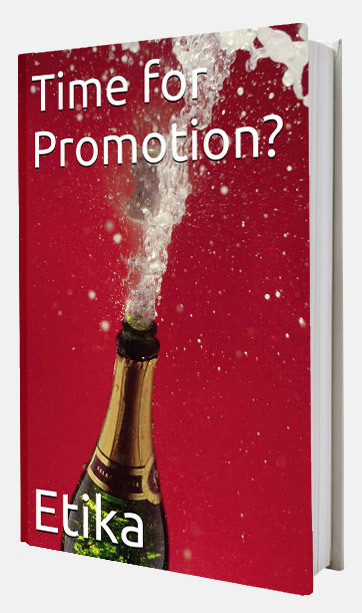 Your boss thinks that you might be promotion material, but they think you’ve still got work to do. Your boss thinks that you’re just not promotional material. Though both scenarios might leave you pretty hopeless, they are entirely different when it comes to career advancement solutions. I’ll be addressing the first one in this post and the second one in my next post. Here’s something typical you might hear from your boss...as they let you know you’re not going to get promoted. Ugh. Martin’s boss has burst his balloon - elegantly, but still...POP. What did his boss mean by bridging gaps? Are these gaps so significant that you can’t be promoted NOW? How frustrating! Now let’s look at this from the boss’s point-of-view. Remember that the boss is noticing things from his or her perspective. They might be real or imaginary - but as far as the boss is concerned, they exist. I’ve seen this hundreds of times and have even dubbed it the “virtual gap” - the difference between how you might perceive yourself and how others think you should be. Hopefully, your boss will be receptive to such initiative, so your next step would be to ask your boss how you can receive help in building the competencies and making the necessary improvements. 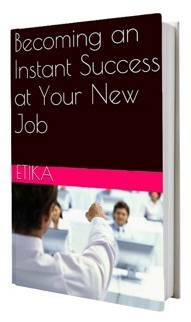 This step is designed to create a kind of partnership between the two of you in positioning you for a promotion. To formalize things, it would be a good idea to construct an informal mentoring program with your boss so that they become committed to this process. Ready my case study about Lisa, who used this strategy to advance her career. Six months into the process, take out that original list of competencies and areas of improvement to gain their perspective on your progress so that you’ll know which gaps still have to be bridged. Then, three months further down the road, set a meeting with your boss so that you can try to understand his or her perspective regarding a possible promotion. Knowing this ahead of time will prevent a future let-down and will also allow for an open discussion regarding how to proceed, with or without your boss’s blessing. Following this process, while not always easy, will keep you in the driver’s seat when it comes to achieving your next promotion. It’s all up to you...and nobody else.